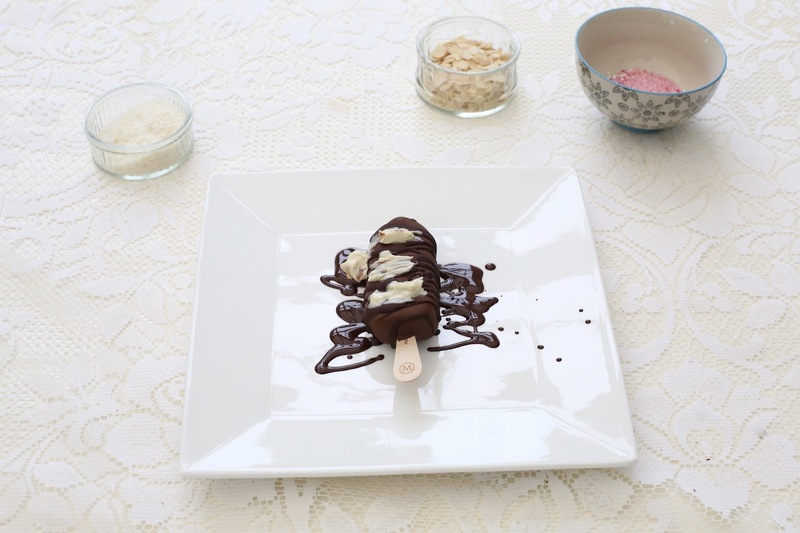 Emtalks: Decorating My Own Magnum At Home! Double Peanut Butter Magnum! Decorating My Own Magnum At Home! Double Peanut Butter Magnum! Is there anything I love more than chocolate on cheat day? Probably not. Today is an unusually unhealthy post but it's super indulgent and everyone deserves a treat, so get cosy and let's talk about a weekend well spent, making our own Magnums. As you'll know if you've read any of my health and fitness posts, I am all about balance and avoiding deprivation. I was inspired after visiting the Magnum Pleasure Store in London, so many people said they wanted to go but they weren't in London so it doesn't matter if you missed it because I'm going to show you exactly how to design your own dream Magnum from the comfort of your own home! Warning, this is the most fun date day ever. First up, choose your toppings! The world really is your oyster here, whether you fancy chilli flakes, raspberries, blueberries or sprinkles. We went for 90% dark chocolate to keep things *healthy*, white chocolate, almonds, hundreds and thousands, sprinkles and coconut. You really can get creative here and choose anything you fancy. Next step, choose your Magnum! We went for double chocolate and peanut butter because it's probably the yummiest Magnum ever. If you're gonna do it, do it properly. 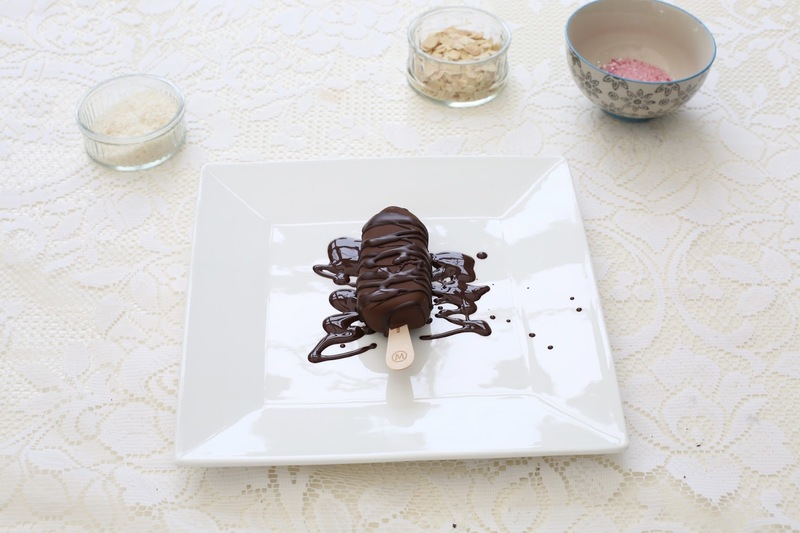 We melted our dark and white chocolate, grabbed a spoon and got ready to be creative! 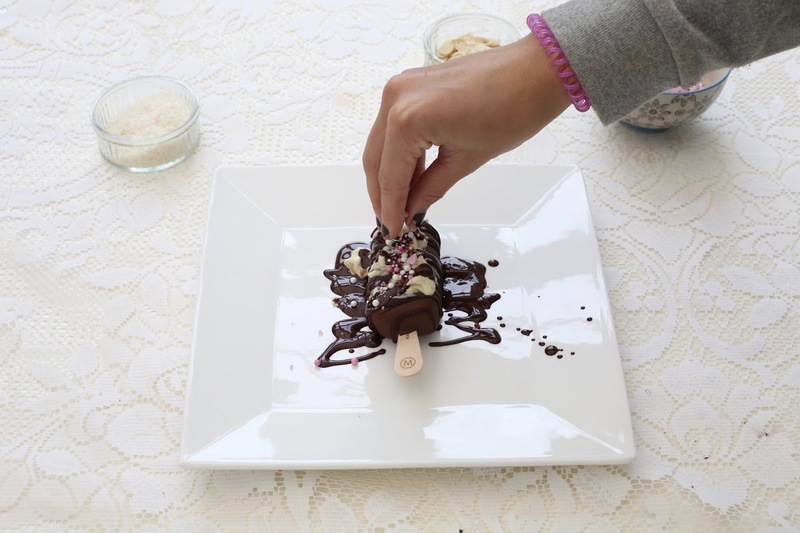 Once you've dipped, drizzled or coated your Magnum in chocolate, it's time to stick on all your favourite bits and bobs! Matt's looked pretty good too! You can watch my video below and see exactly how we made it and then join in with us. It's safe to say that the mixture of deliciously soft ice cream, caramel, peanut butter and the crunch from all the chocolate and toppings was the most delicious thing I've ever tasted. I'll definitely be personalising Magnums at home again! I've loved Magnums for as long as I can remember and they're definitely worth every calorie. 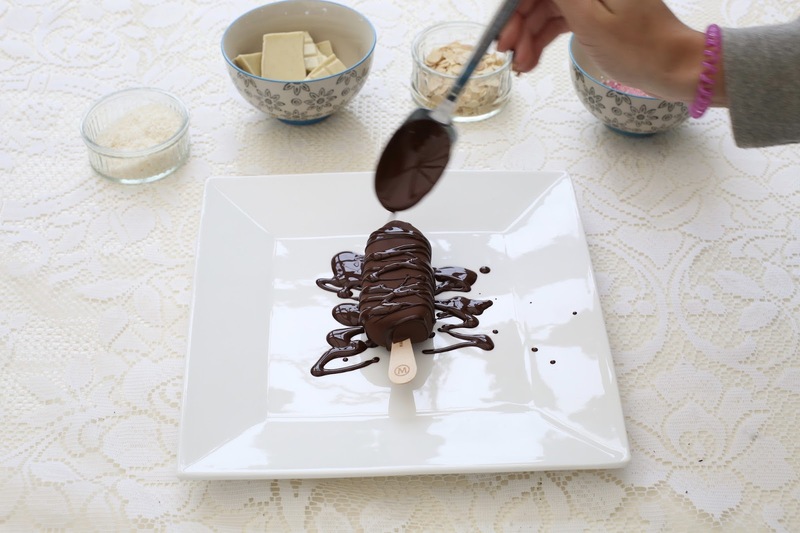 Now it's time to make your DreamMagnum! You can watch me making mine below! Check it out online here. Do you love Magnums? Did you ever visit the Magnum Pleasure store? Do you like the idea of doing this at home? What would you top yours with? *I worked with Magnum on this - gladly, I adore them!